It's not easy to narrow Charleston's best bars down to just 10 contenders, but somebody's got to do it. So here we present to you, our faithful readers, our best efforts at the Holy City's very best: bars big and small, rowdy and reserved, fancy and dive. Take our word for it–or anyone else's in town; Charleston knows how to tips a few back. Take Closed for Business, for example–our personal favorite. If you're a beer nerd, beer snob, or budding beer lover (that's everyone, right?) you're going to like this place. 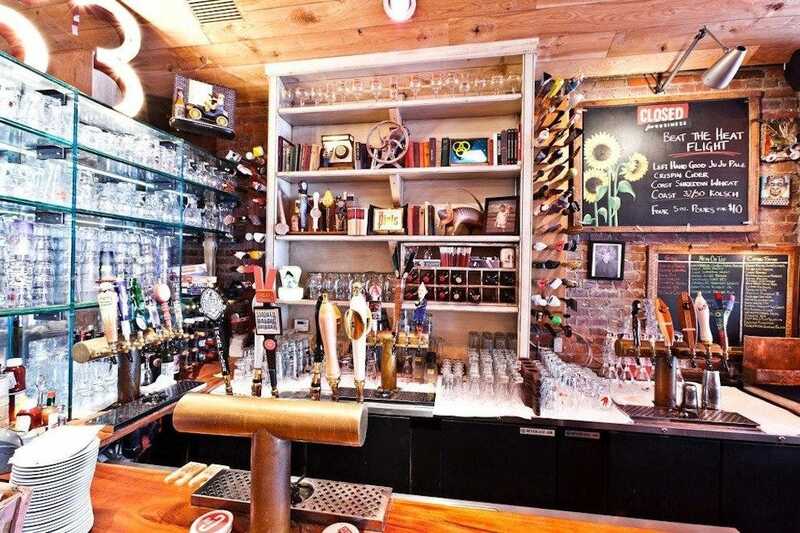 Take on nearly 50 beers on tap at CFB, or walk a half-block to Proof for a smaller but righteous selection, along traditional absinthe service and some killer cocktails. 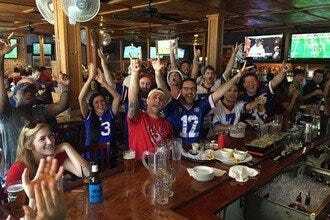 Beer bros (and gals) will also dig Bay Street Biergarten, an indoor-outdoor haus of communal tables, pour-your-own taps, and all of the sports on-screen. Classic cocktails more your speed? Try The Gin Joint before or after dinner on East Bay, or bounce between The Belmont and Cocktail Club on Upper King–laid back and energetic vibes, respectively. 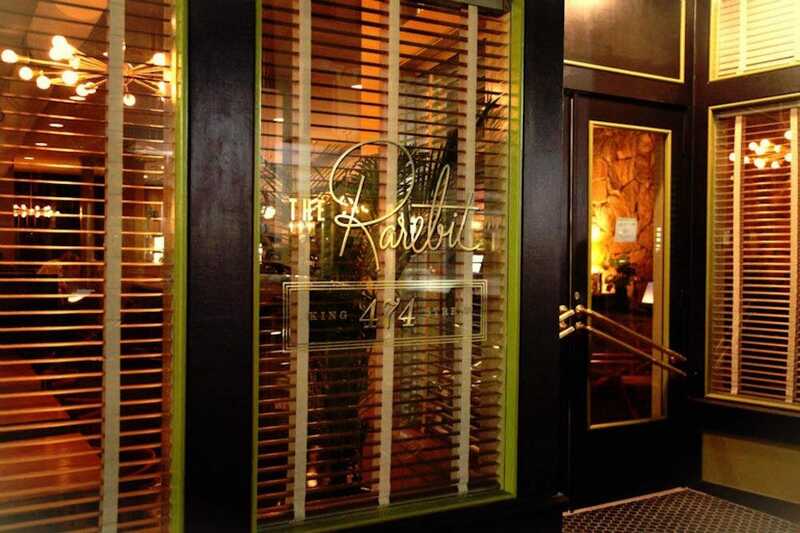 For the freshest Moscow Mules on-peninsula, Rarebit's your place. They've got 'em on tap! Everyone knows that drinks taste better outdoors. See for yourself at The Vendue Hotel's snazzy Rooftop (there's cover if it starts to rain) or the divey front deck at Royal American. Put one foot in front of the other down King Street and you'll be heading in the right direction. And feel free to carry us with you from bar to bar. The Belmont offers quite a lot in the way of curated cocktails, and a warm, sophisticated atmosphere--ideal for couples and small groups that actually want to hear each other inside the bar. Service is swift and knowledgeable, able to give expert recommendations for cocktail orders based on spirit and mixer preferences. Expect low-height booths, bar seating, a few privileged window spots, and old movies projected up onto the wall. The Belmont offers a few 'snacks' good enough to match their cocktail service, including meat and cheese boards and homemade pop tarts. It's dark, a bit sultry (with the right company) and completely fulfilling for those who prefer a more intimate, low-key evening out. The crew at Proof takes cocktails�and cocktail service�very seriously, evidenced by a traditional absinthe service and such classic cocktails as the Gin & Tonic, Clover Club, Pink Rabbit, Old Fashioned, Manhattan, and more. You'll also find a few new takes on some old favorites, along with nightly specials dreamt up by the professionals behind the bar. This intimate Upper King cocktail bar makes for an excellent date night or gathering of close friends, with darker lighting and hightop tables, and the occasional live music feature. 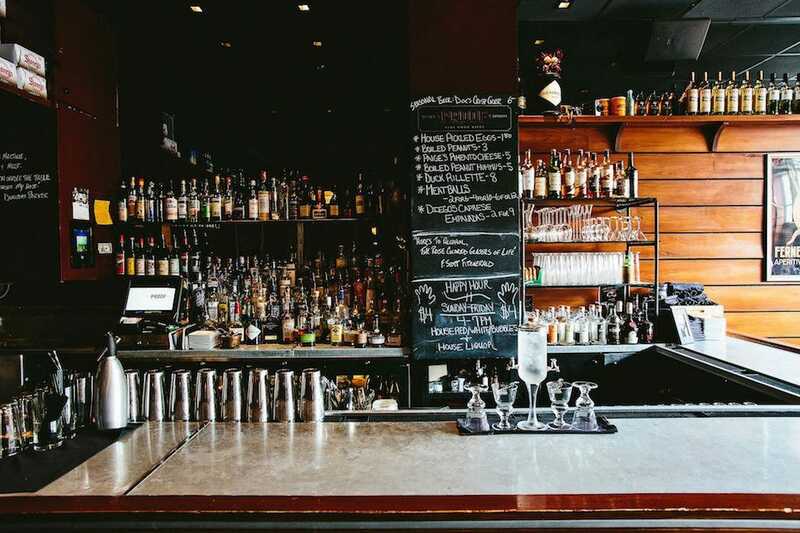 The bar's tagline proclaims "wine, spirits, and real good beers," and while it's a much more limited selection than its neighbor, Closed For Business, there a few excellent options: Jever Pilsner, Bells 2 Hearted IPA, and Bellhaven Black Scottish Stout. 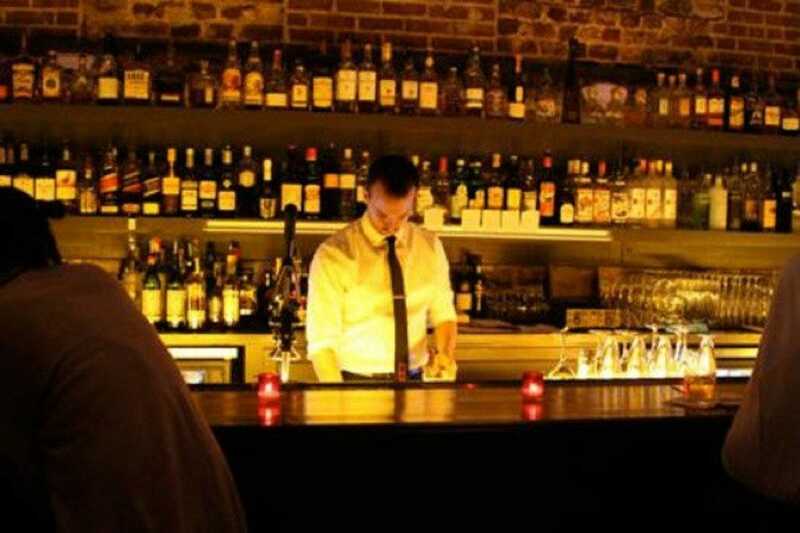 The Royal American can easily become your new go-to bar in Charleston. Strings of tiny Christmas bulbs provide some of the lighting, and one wall is made almost entirely of old National Geographic magazines. The menu includes homemade beef jerky, muffaletta sandwiches, Frito pie, and even a good ole' fried bologna sandwich. 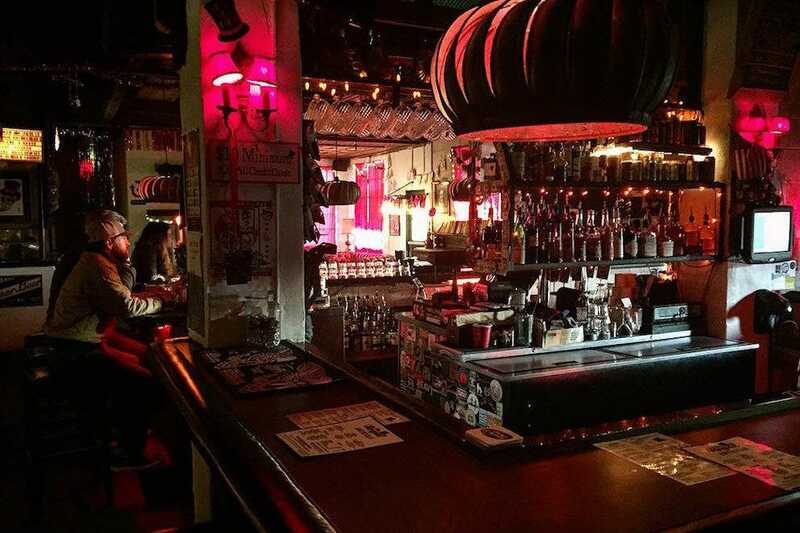 This bar has transformed from bring-your-own CDs to a regular live music venue (visit their website for the performance schedule), but be aware that most of the bands require a cover charge. A decent variety of beer is served in cans, tap, or bottles and budget diners will appreciate their brunch menu, with most items on the menu coming in under $7. You deserve Moscow mules on tap (at least the ginger beer, anyway), and you definitely deserve late night breakfast food to close out your night. Sure, Rarebit's Moscow Mules draw a crowd--they use local Sweatman's Ginger Beer--but this retro-style bar brings plenty of other classic cocktail choices to Upper King. Our personal recommendations include the Corpse Reviver (fun to say, fun to drink) and the Champagne Cocktail, along with the Rarebit Dark 'N Stormy. Rarebit keeps it simple in the beer department, with a Pilsner, Stout, IPA, and seasonal option on tap at all times, often local selections. Whatever you're drinking here, it's bound to be incredibly fresh; cocktail juices are made daily and all mixers are made in-house. 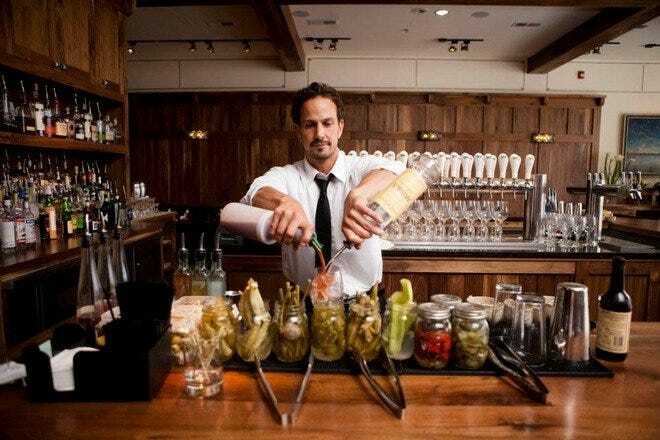 It's safe to say that The Gin Joint has pioneered the modern craft cocktail scene in Charleston, serving as an East Bay staple for years. The Gin Joint bartenders are highly experienced and proud of their craft, ready and willing to mix up any combination or classic cocktail by customer request. Looking for adventure with a dash of ingredient guidance? The Gin Joint's pre-set cocktail menu represents the small alley venue's penchant for locally-sourced spirits, ingredients and garnishes, and stars the like of the Phil Collins, the Grand Budapest, and the top-shelf Arsenic and Old Lace. Expect to mingle with all ages of cocktail enthusiasts at The Gin Joint, whether you're making a one-drink visit or staying and sampling here for the evening. Recently rebranded, renovated, and remodeled as Charleston's Art Hotel, The Rooftop at Vendue has always been known for its expansive, unforgettable views of the Charleston Harbor and East Bay Street architecture. 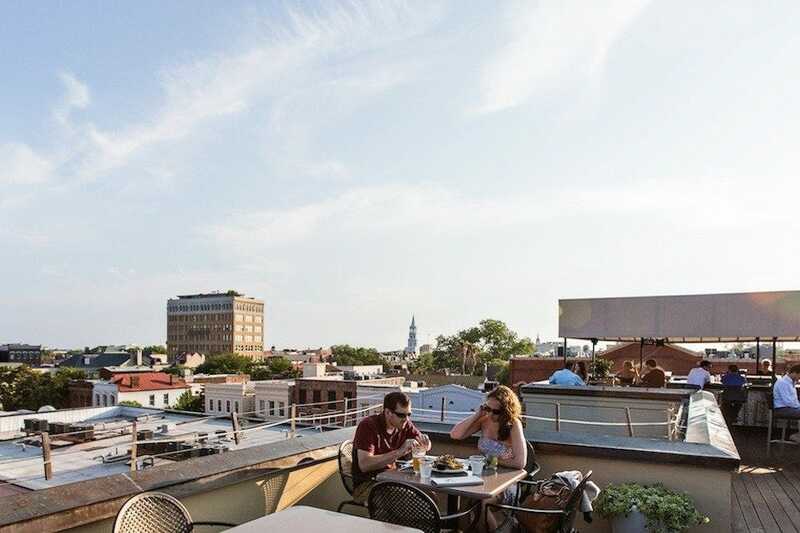 The Rooftop is a favorite spot for locals to bring out of town visitors, for an impressive introduction to Charleston's classic beauty, top-notch hospitality and cultivated art community. Expect a full house at the Vendue Rooftop on weekdays and some weeknights, especially if the weather is ideal for outdoor dining and drinking. Visitors to The Rooftop at The Vendue come for the views, but stay for the service, specialty cocktail and craft beer menu. #PinVendue only adds to the charm (and photo opportunities). Tucked into a historic building on the corner of Chapel and East Bay Streets, Bay Street Beirgarten isn't your traditional biergarten. This gathering place welcomes you into its interior expanse with high ceilings, communal tables and cozy booths. You're going to be here a while, and not just for the atmosphere. 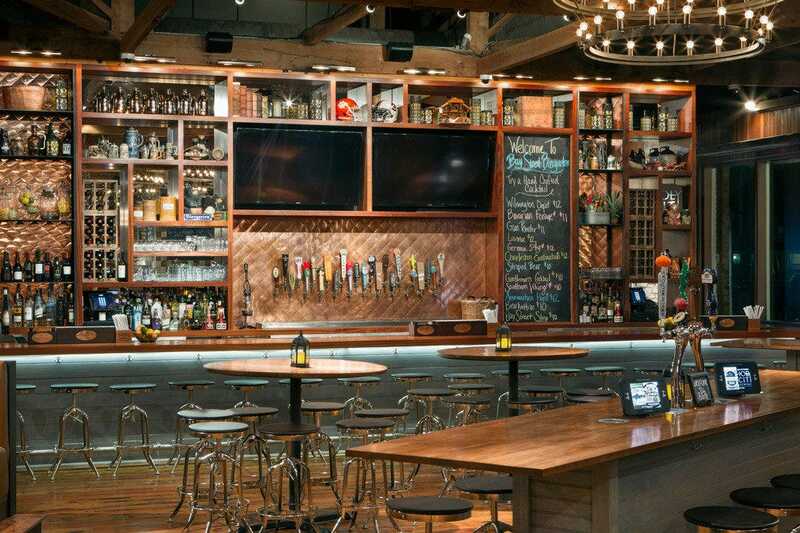 The Biergarten is intent on providing Charleston with top-notch German fare, and serving up the best in craft beer all by way of the latest tap technology, including iPad-equipped tap tables. Tap the screen, pay, and your tabletop tap is activated; you're serving a draught brew to go with those pretzels and mustard. "Bavarian inspired - Southern made" is the theme, which translates into traditional German apps and entrees, Munich-style drinking community and patio complete with picnic tables and "Prosts!" 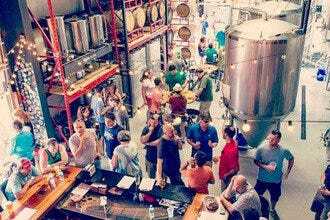 Plan to enjoy patio perfect weather, meet new friends and have your Charleston beers with a side of schnitzel. 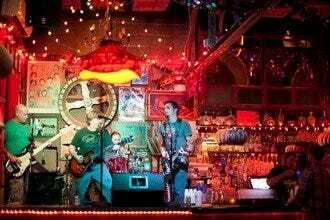 It's no surprise that Prohibition makes our 10 Best list of live music venues in Charleston, as they have live bands in-house 6 days of the week! Prohibition's live musical lineup incorporates multiple regular and guest-star acts, as well as a wide variety of musical styles. 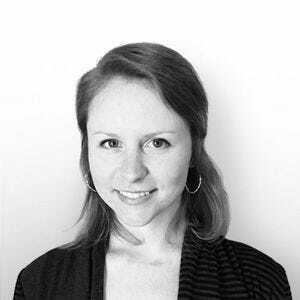 Expect to enjoy an acoustic performance by a local singer-songwriter one night, and a festive band playing 1950's swing dance the next. Plan to pair your live music experience with some great grub; Prohibition's Chef Stephen Thompson dishes out some impressive brunch, lunch and dinner plates in hearty portions packed with traditional Southern flavors. Each appetizer or main dish goes nicely with a night out singing and dancing at Prohibition! Stepping into The Cocktail Club is akin to stepping back in time to Charleston of the prohibition era. 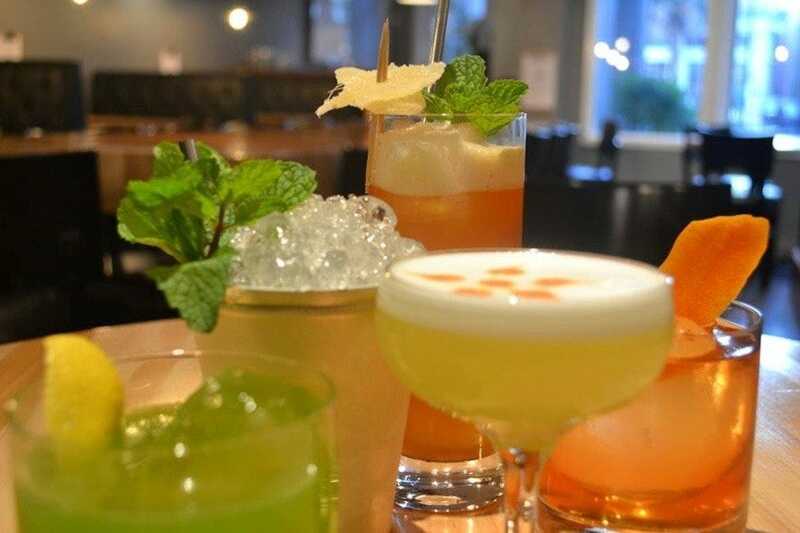 Located just above The Macintosh at 479 King Street, The Cocktail Club prides itself on superior cocktail craftsmanship and service. This intimate, brick-walled 'hideout' also features a rooftop deck, which doubles as the source garden for cocktail garnishes. If you're a frequent visitor or local to Charleston, consider joining as a Cocktail Club member. 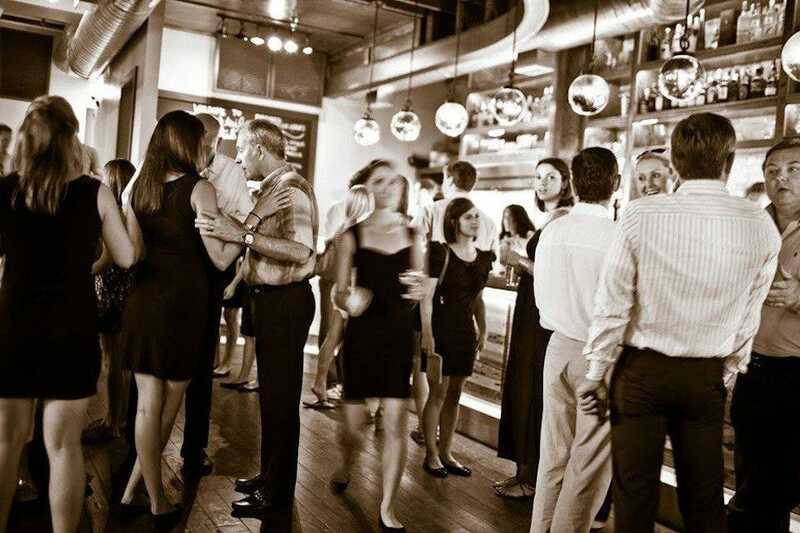 Memberships at the Cocktail Club include 50% off of happy hour prices (5-8pm), no line waiting, attendance of the biannual membership party, one free cocktail class per year, one private spirit tasting invitation and more. Memberships are priced at $250 per person. Closed For Business is undoubtedly one of Upper King's most popular hangouts, known for its extensive draft beer lists, rotating weekly or by availability. 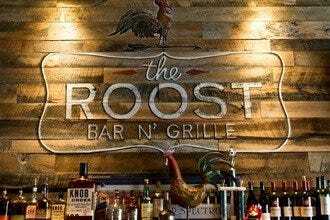 This local's bar offers 42 beers on tap, roughly 50 bottled beers, a seasonal beer menu, monthly beer specials and even local Charleston brewery flights. CFB also offers premium liquor and wine choices for those non beer drinkers you brought along for the night. A faux fireplace, wood-lined walls and community tables in the rustic lodge interior give this neighborhood bar a unique feel. 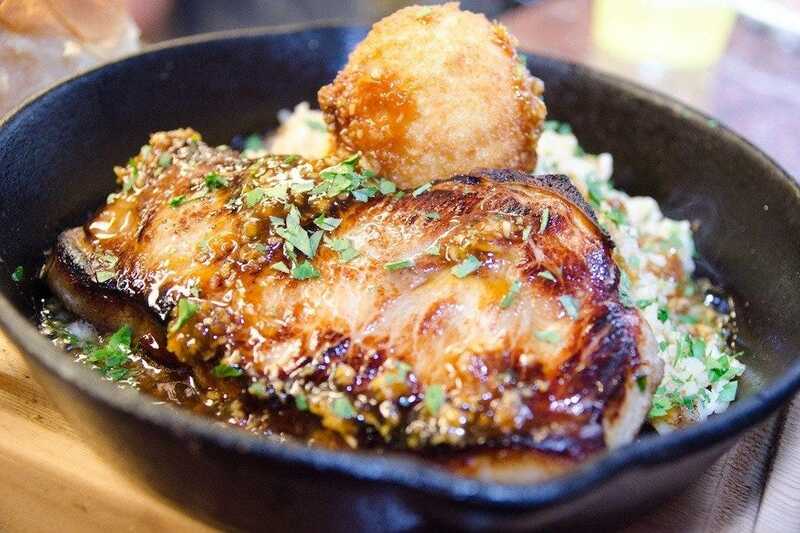 The classic menu features upscale pub food and creative daily desserts. Expect a short line to wait on Friday and Saturday nights, with easy entry on weekdays and Sundays.